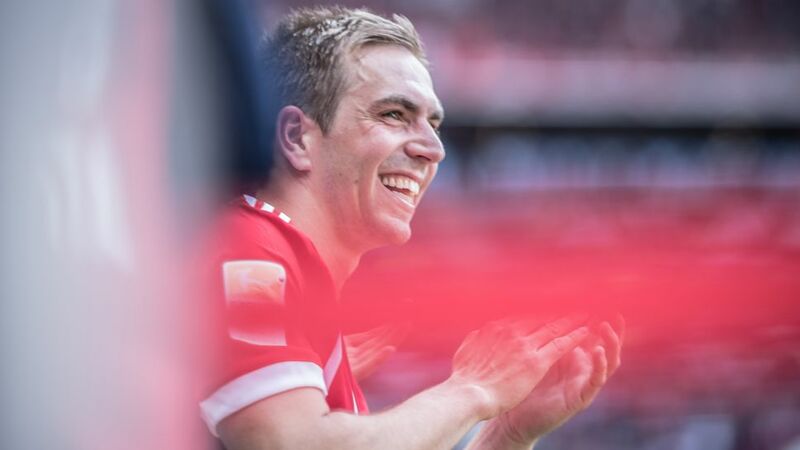 Ex-Bayern Munich and Germany captain Philipp Lahm has won a prestigious GQ 'Men of the Year' award. Former Bayern Munich and Germany captain Philipp Lahm named one of GQ's "Men of the Year"
Former Bayern Munich and Germany captain Philipp Lahm has been named GQ magazine's 'Sports Icon' in their prestigious 'Men of the Year Awards', following in the footsteps of David Beckham and Miroslav Klose. Lahm ended his playing career at the end of last season after securing an eighth Bundesliga winner's medal in addition to his six DFB Cup triumphs and one UEFA Champions League final victory. That meant the 2014 FIFA World Cup winner has had even more time to devote to his 'Philipp Lahm Foundation for Sport and Education', which supports children and youngsters in Germany and South Africa. "Philipp Lahm wrote football history with his fantastic successes," GQ's Chief Editor Tom Junkersdorf said. "His intelligent, unruffled and pleasant demeanour make him one of the sport's most important ambassadors. He's a true role model on and off the pitch with his deep commitment to children and youngsters. For us, he's an icon and rightly 'GQ Man of the Year'". Lahm will receive his award on 9 November at the Komischen Opera House in Berlin along with Arnold Schwarzenegger, who has been named 'Legend of the Century'. Lahm's football contemporaries, Beckham and Klose, were previous recipients of the honour.